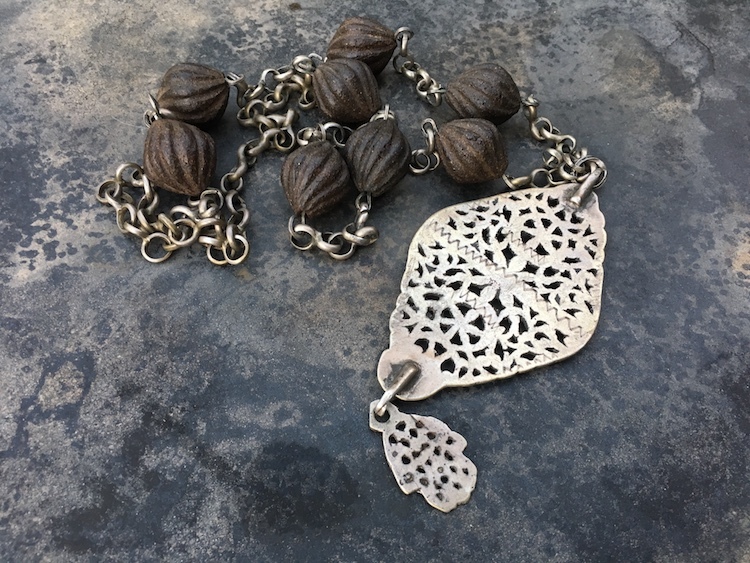 This lovely pendant (from Morocco perhaps or Tunisia?) 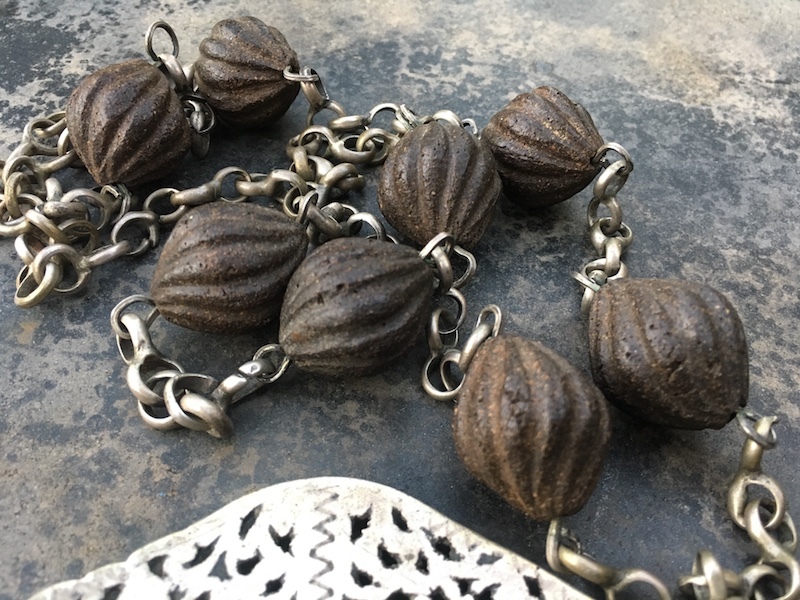 is attached to a chain with deep brown beads of some sort of woody composite material that is a bit fragrant. Can anyone tell me what they are?